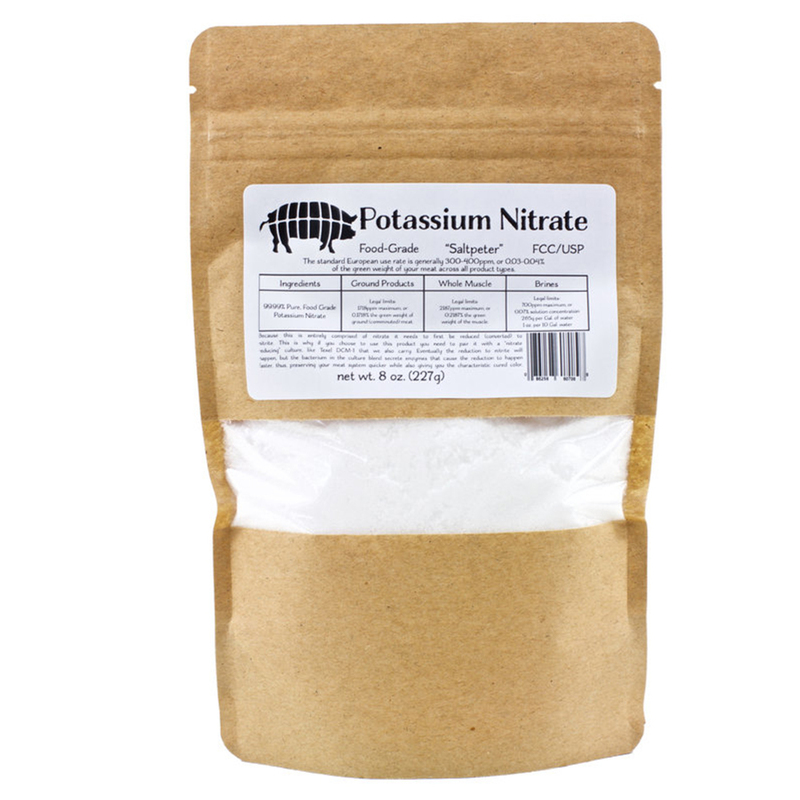 FCC/USP Food Grade Potassium Nitrate – KNO3 (Saltpetre) – 8 oz. Home>Curing Ingredients>FCC/USP Food Grade Potassium Nitrate – KNO3 (Saltpetre) – 8 oz. 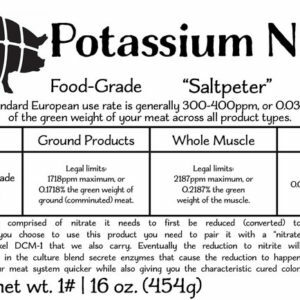 The is 1# of 99.99% pure, food grade potassium nitrate, also know around the world as saltpetre (saltpeter…). 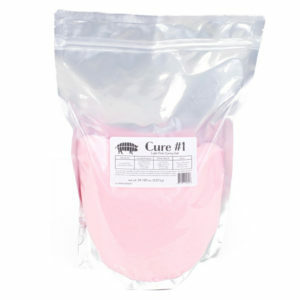 While modern technology allows us to refine our saltpetre this product still has been used for centuries to cure meat. 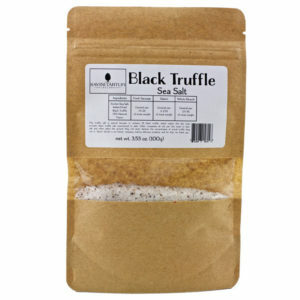 In early recipes it was referred to as “contaminated salt”, as it was generally found in caves. They would harvest the salt from the caves, and use it to preserve their meat. 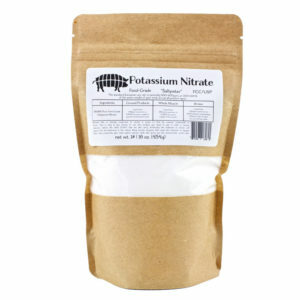 It is used the same way as any other curing ingredients, but unlike normal cure blends this is 100% nitrATE, not nitrITE. Think of this as the first form. Because this is entirely comprised of nitrate it needs to first be reduced (converted) to nitrite. This is why if you choose to use this product you need to pair it with a “nitrate reducing” culture, like Texel DCM-1 that we also carry. Eventually the reduction to nitrite will happen, but the bacterium in the culture blend secrete enzymes that cause the reduction to happen faster, thus, preserving your meat system quicker while also giving you the characteristic cured color. Standard use rate is generally 300ppm, or 0.03% of the green weight of your meat system across all product types. You can go up to 1718ppm maximum though, or 0.1718% the green weight of your ground (comminuted) meat system legally. For brines, the legal maximum is 700ppm concentrations, so you can go higher than 300ppm. 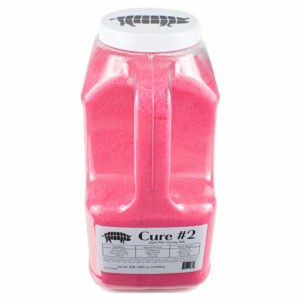 For dry cured whole muscle products you can go up to 2187ppm, or 0.2187% the green weight of the muscle.